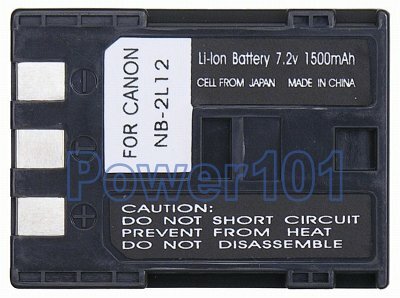 BP-2L12 / BP-2L14 batteries are designed specifically for camcorders and will not fit cameras. They are twice thicker, and thus will not slide into camera battery compartment. Camcorders, on the other hand, have the batteries attach on the side and work perfectly fine. The absolute best attery for your camcorders. With twice the capacity of NB-2L it will keep you filming way longer than the standard 2 hours. 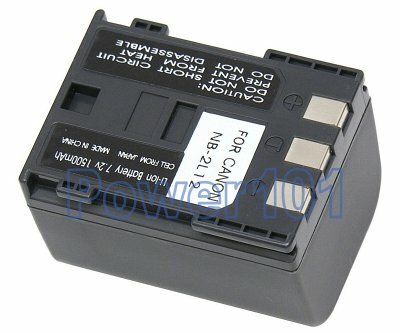 This battery is compatible with many camcorders such as Elura 50 60 65 70 80 85 90, Optura 30 40 50 60 400 500, ZR100 ZR200 ZR300 ZR400 ZR500 ZR600 ZR700 ZR800 ZR830 ZR850 and few others. Please check your camcorder with our battery finder. Any standard NB-2L NB-2LH BP-2L12 or BP-2L14 charger will work with this battery. The battery can also be charged in the camcorder.